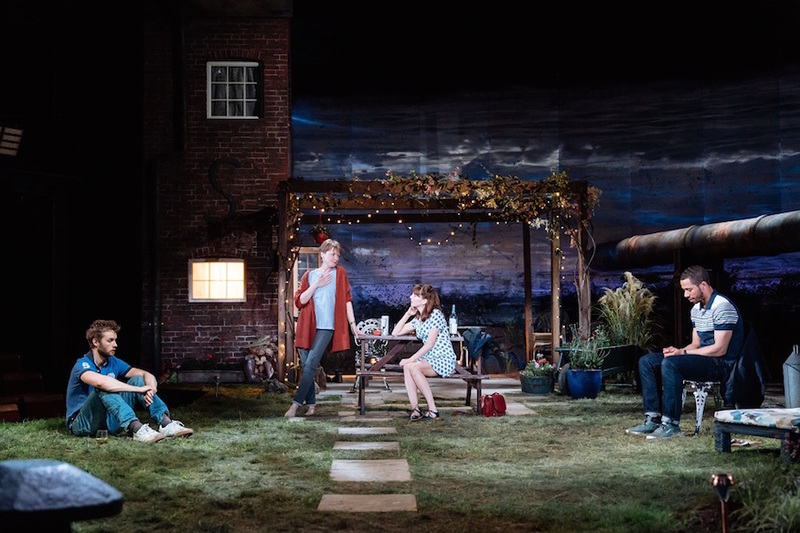 Living in the country never looked better than in the sumptuous production of Nightfall. Desginer Rae Smith has created a farm backdrop that is a beauty to behold, even before any of the actors speak. Chris Davey’s lighting evokes the sunsets over Hampshire. But looks are deceiving as nobody wants to be there. Dad’s dead and left a pile of debt. The son’s trying to make the farm work by siphoning off oil from a pipeline that cuts through the property. His best mate is out of jail helping him (and risking his probation). The daughter is drifting in and out of jobs and a relationship. And mum would rather just lounge about, barefoot, drinking a fine white wine. The relationships and characterisations aren’t the only thing that beggars belief. Very little seems to be about the challenges of rural life. It feels much more like the urban angst you’d find in Crouch End rather than rural Hampshire. Writer Barney Norris keeps things light and amusing, but you’ll struggle with finding any insight into rural life here. Even if it looks like it could be fabulous. Nightfall, Bridge Theatre, Potters Fields Park, SE1 2SG. Tickets £15-£65, until 26 May 2018.